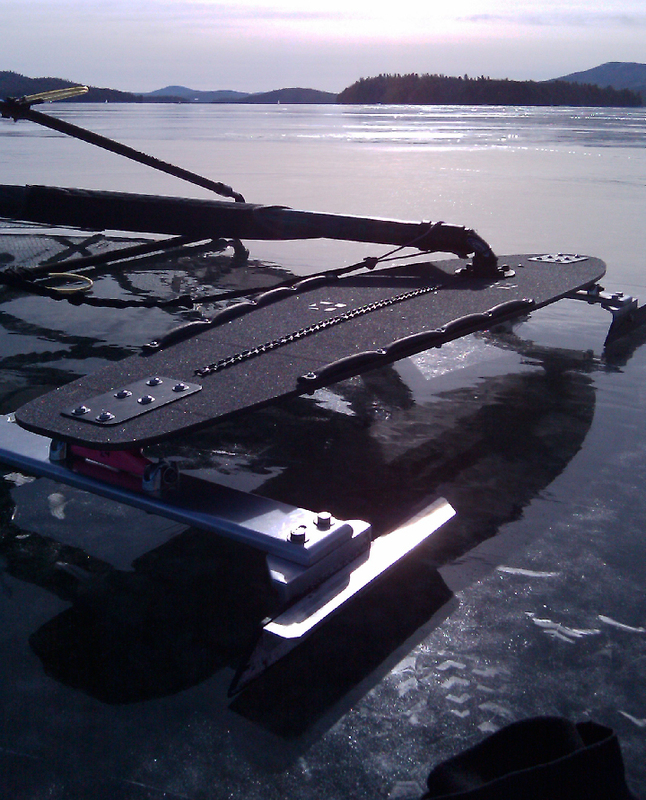 A group of windsurfers are looking to try iceboarding this winter. Does anybody have an old Freeskate in their basement that they would like to get rid of? I have several Paul Mindnich built Freeskates in my garage attic. Got 3 of them in my basement. Rick Clark built my freeskate, he is located on Cape give him a shout at 774-836-5428 if your interested. He told me he had at least 6 for sale wood, aluminum and fiberglass. I went looking for a photo of a Fiberspar Freeskate®, found this blast from the past , enjoy! I think there is a place to buy blades, I'm not sure where though. I made a snow rig way back, it didn't work, too much drag. Ice sailing is great, but you never know if the conditions will occur. I guess the only down side to these are the fact you need really flat snow free ice. Ice is usually pretty flat and you can go in a light snow, but it is amazing how tough it can be to get good ice and more than a breath of wind before an impending dump! Some winters you sail a lot, some not at all. If you think foiling is a thing.....All I can say is that Crazyfingers and I would agree that the enticement of foiling is that it almost reproduces the sensation of ice sailing....but so far it doesn't surpass the ssssshhhhh noise or glide.